Although our feet do a lot of work, they are the least pampered part of our body. To pamper your feet and keep them strong and flexible, a daily foot massage of a few minutes will be enough. In fact, foot massage has been practiced in different cultures for years to promote health and well-being. Also, it has been a valuable part of complementary and alternative medicine. Combine a regular foot massage with reflexology to promote psychological as well as physical health. Reflexology is an ancient healing practice based on the principle that there are reflex points on the feet that correspond to the body’s different organs and glands. These points are located on the soles, ankles, toes and upper part of the foot. In reflexology, pressure is applied to special areas on the feet with specific thumb, finger or hand techniques. 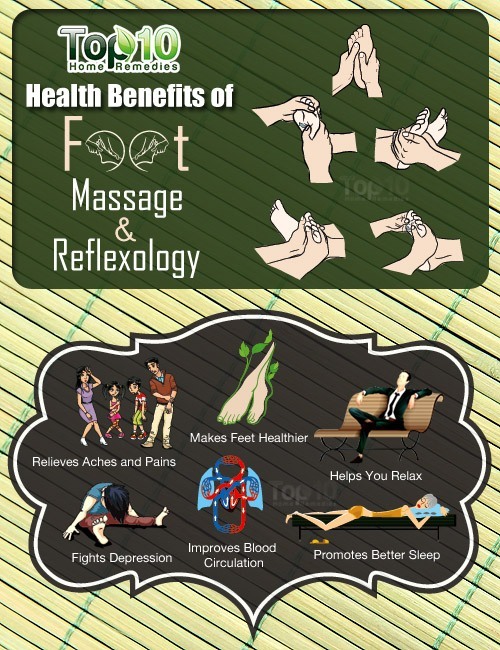 Here are the top 10 health benefits of foot massage and reflexology. 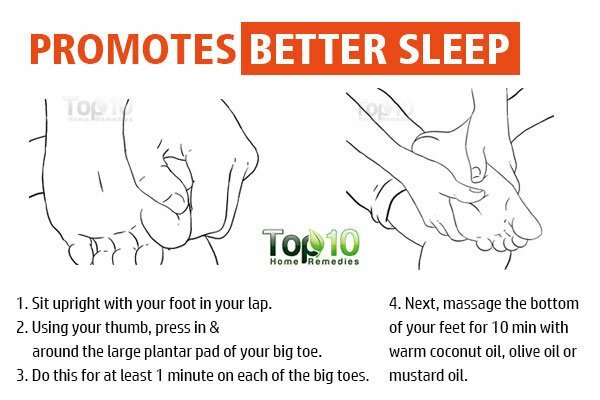 Foot massage just before going to bed can help you sleep better. A soothing and relaxing foot massage will help the body unwind, improve blood circulation and relax the nerves. These in turn will encourage restful sleep. There are certain acupuncture points on your feet that need to be massaged to promote sleep. Sit upright with your foot in your lap. Do this for at least 1 minute on each of the big toes. You can improve your blood circulation with 10 minutes of daily foot massage. 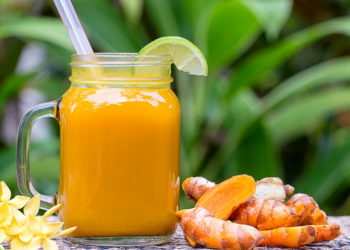 This in turn will help transport oxygen to the body’s cells, which is essential for overall health. Needless to say, you also need to opt for proper and comfortable footwear. Foot massage will also stimulate the lymphatic system and help prevent varicose veins. Put any massage oil in your palm and rub it firmly on your foot for several minutes. Then, stroke the foot gently but firmly from toes to ankle. Finally, give a gentle massage to your lower leg also. Repeat the same with the other foot. After a long tiring day, the best way to relax is a soothing and relaxing foot massage, particularly after a long day of standing and walking around, when our feet tend to swell up. Also, foot massage gives you energy by releasing any blockages that hold back energy and relieving symptoms of stress and fatigue. 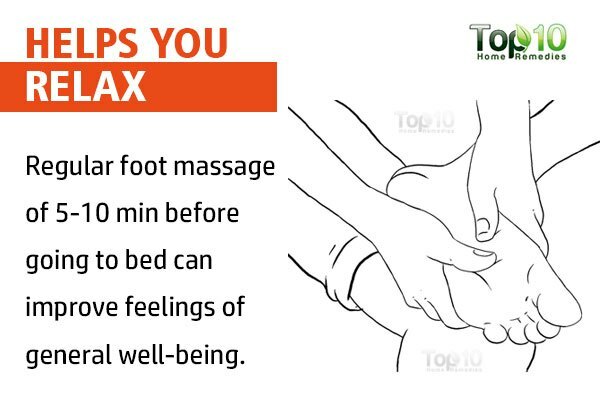 Regular foot massage of 5 to 10 minutes before going to bed can improve feelings of general well-being. Always use warm oil for foot massage so that it easily penetrates deep in the skin. Also, use gentle yet firm strokes. Foot massage and reflexology can even help fight depression. According to a 2010 study published in the Journal of Clinical Nursing, receiving soothing hand or foot massages after the death of a loved one can help a lot to deal with the stressful grieving period. Foot massage provides consolation, helping people to balance the need to grieve and adapt to changes in life. Certain points on the feet are helpful in alleviating depression symptoms. 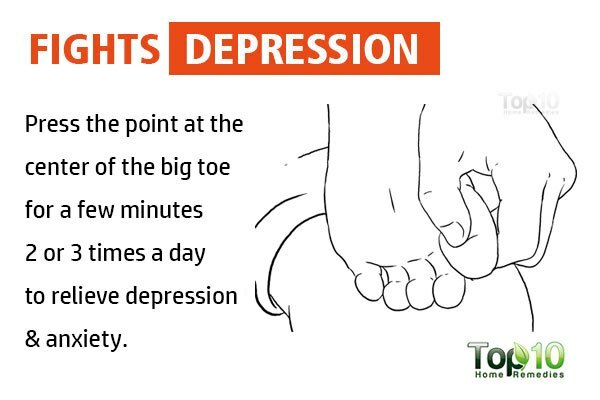 For instance, the spot in the center of the big toe, the spot at the center of the ball of your foot or the ball of the foot located under the big toe are associated with emotional stability and mental health. Massaging these points or applying pressure to them for a few minutes 2 or 3 times a day can help relieve symptoms of depression. Reflexology can help treat different types of pains and aches, such as headaches, migraines, neck pain, lower and upper backaches. For backaches, gently massage along the spinal reflex with your thumb, starting from the side of the toe to the ankle using small circular motions. Also, massage the soles and tops of your feet. If you have neck pain, massage the toes as well as the joints that join the toes to the foot for 5 minutes firmly and soon the pain will vanish. You can massage the whole ankle to reduce pain and swelling in the ankle and get relief from headaches and migraines. To relieve thigh pain or lower back pain, apply pressure with your thumb between the outer ankle bone and the Achilles tendon for a few minutes. It has been found that massaging your feet with warm olive oil or coconut oil can give much relief from the pain and inflammation caused by foot tendonitis. Also, it is considered an excellent treatment for heel spurs. It can even be beneficial to relieve the discomfort associated with burning feet sensation. Apart from oil, you can also use a foot roller for foot massage. Roll the foot roller back and forth on the soles as well as over the top of your feet for a quick massage. Regular foot massage during pregnancy can help reduce the effects of edema, which is swelling in the feet and ankles due to fluid retention. This is very common during pregnancy, especially in the last trimester. During pregnancy, do not do your own foot massage. It is recommended to get it done by a friend, partner or professional. In fact, it best to get it done by a qualified reflexologist. Gently massage your foot, starting from the tips of your fingers all the way to your ankles. Massage the front as well as back of your feet. A retrograde massage with some warm massage oil is considered highly beneficial. It is done by rubbing from the toes proximally, or toward the knee. 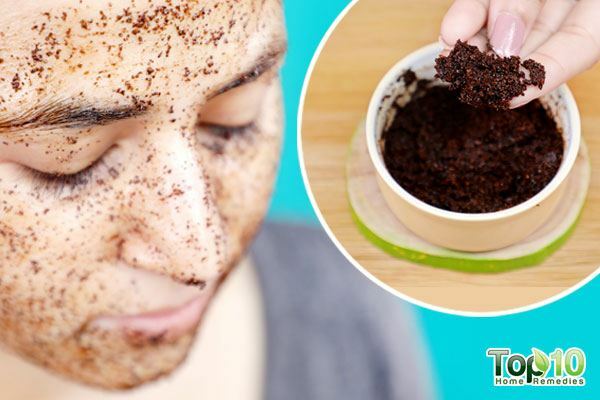 This encourages the fluid accumulated in the feet to return toward the kidneys, where it can be flushed out of the body. Along with daily foot massage, try to keep your feet elevated whenever possible, take plenty of rest, wear comfortable shoes, drink plenty of water and eat well. Many women suffer from symptoms like feelings of sadness, irritability, insomnia, bloating, fatigue, headaches and mood swings during premenstrual syndrome (PMS). These can be treated with daily foot massage. Even symptoms of menopause like hot flashes and depression can be effectively handled with regular foot massages. 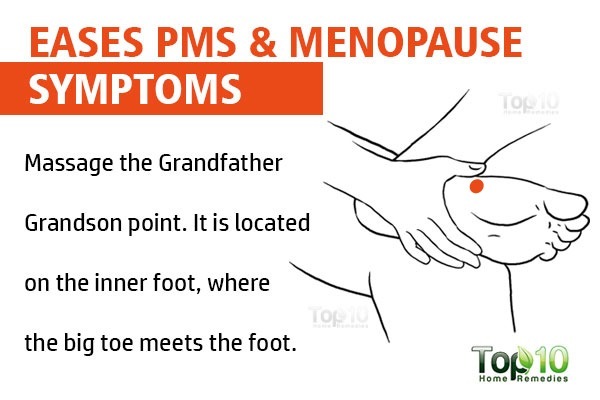 To treat PMS and menopause symptoms, massage the Grandfather Grandson point. It is located on the inner foot, where the big toe meets the foot. Massage this acupressure point with any warm massage oil and apply steady, firm pressure. Do it for a couple of minutes and then massage the entire feet as well as the legs. Regular foot massage will surely show a decrease in hot flashes and improvement in sleep disturbances and mood changes. Foot massage is also helpful in treating restless leg syndrome, a kind of neurological disorder. Restless leg syndrome can cause difficulty sleeping due to the unpleasant sensations like throbbing, pulling and the urge to move your legs. Massage your feet with warm coconut oil to improve blood circulation, relax the nerves and help you sleep at night. Start by massaging the heels and ankles of your foot with the fleshy portion of both your hands. Then, massage in circular motions with gentle yet firm strokes, moving upward from the ankles. Do this daily for 10 minutes before going to bed. 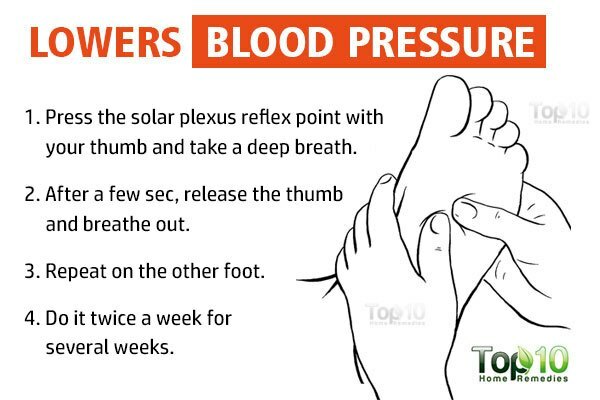 High blood pressure, also called HBP or hypertension, can be controlled with regular foot massage. Studies have also found that foot refloxology may help reduce systolic blood pressure and triglyceride. To treat HBP, it is important to massage the solar plexus reflex. This reflex point can be easily located by squeezing each side of your foot. The hollow that forms is where the solar plexus point is. Press this reflex point for a few seconds with your thumb and take a deep breath. Also, massage your entire foot for 10 minutes 2 or 3 times a week to notice improved mood, less anxiety and lower blood pressure. Warning: Most people can benefit from regular foot massage. However, avoid foot massage if there are burns, open or healing wounds on your feet, fractures and severe osteoporosis. Many thanks for the very educative information. I am 70 yr old. Hearty thanks. Amazing…..very useful information for life, hope continue it. Very helpful and what I needed to hear very beneficial. Excellent! Very good it’s help relaxing thank you.?? Amazing and helpfull,my 8yr old son loves putting his Daddy to sleep with just my feet massage. And he feels sooo good. Thank you for this wonder info. I have a foot roller & will! Use it more often now! Thanks for this information & reminder!